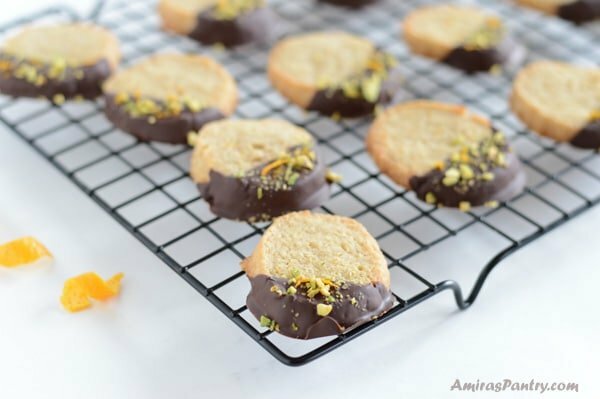 Easy orange cookies dipped chocolate, the dough can be made in less than 15 minutes and stored in the fridge for up to 5 days. 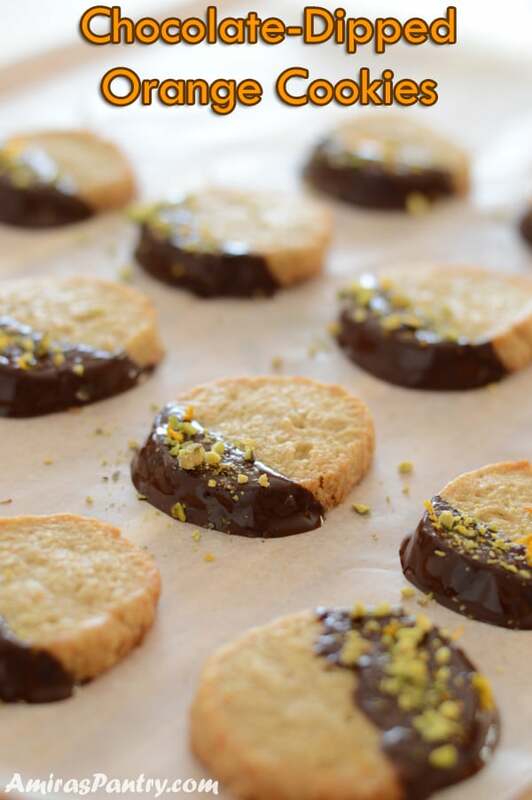 Dipped in dark chocolate and sprinkled with orange zest and pistachios. Perfect for tea time or coffee time. How are you all? I hope you’ve had a wonderful Thanksgiving and probably got yourself some pretty good deals yesterday. Today, we’re going to make something to shift your senses and mind away from all the turkey, gravy, sweet potato and caramel packed desserts that you’ve indulged in. 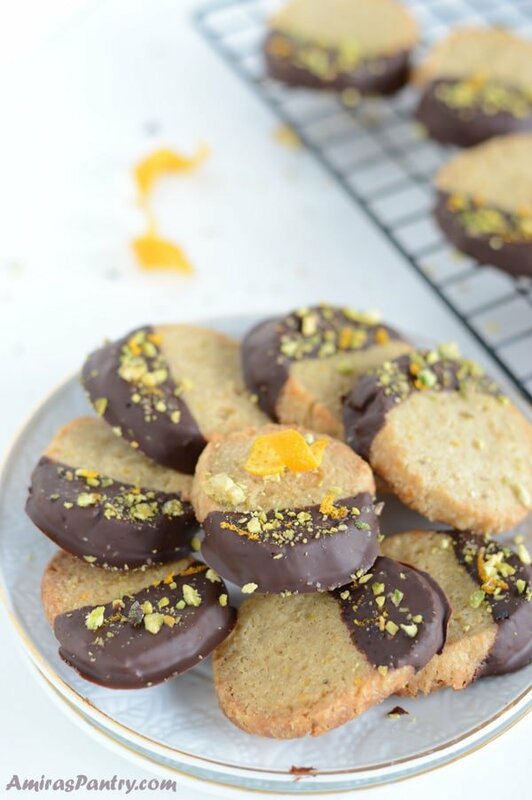 This chocolate-dipped orange cookies recipe is mildly sweet flavorful and delicious. This actually was an attempt to make a shortbread recipe that I’ve read about in this baking book. They have a simple basic recipe and the plan was to take this recipe and work my way up with it to an orange flavored shortbread cookies. 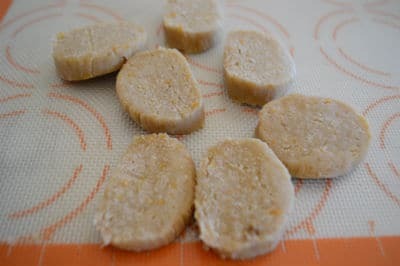 I love shortbread cookies for their creative potential and I liked this recipe in particular because it had less sugar than the rest of the recipes I’ve came across. But after I followed the instructions this is what I ended up with, a sandy mixture that was not dough-able , meaning I was unable to get a decent dough out of it. So I put on my thinking cap, figured out that I need to add some more liquid to make it come together I thought of two options, either add eggs or some orange juice. I did not have a bottle of orange juice and was lazy enough to make my own, so I went for the egg. 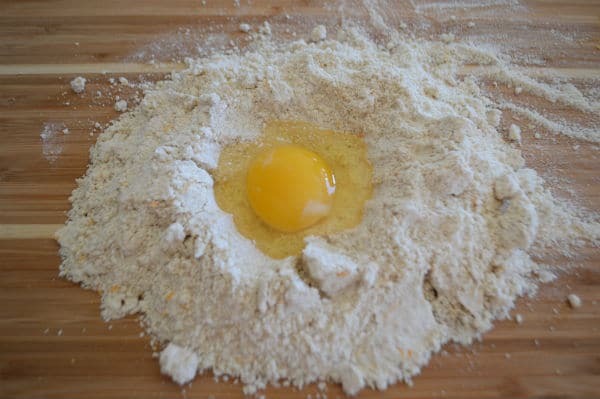 I made a well in the middle and added one egg hoping that it will come nicely together and forms some kind of a dough. Hence I ended up with a cookie dough that falls somewhere between shortbread cookies, sugar cookies and slice a bake cookies. It was mildly sweet, fragrant and by dipping it in dark chocolate, it was an adult approved cookies, YUMM. You can use white chocolate or milk chocolate if you will serve it to little hands or for those who do not like dark chocolate. But really dark chocolate, orange and pistachios are the perfect trio, colorwise and taste wise. I hope you’ll enjoy making this recipe, until next recipe… have fun. *2.8 oz dark chocolate bar. More orange zest/ pistachios for garnishing. Cut the butter into tablespoons. 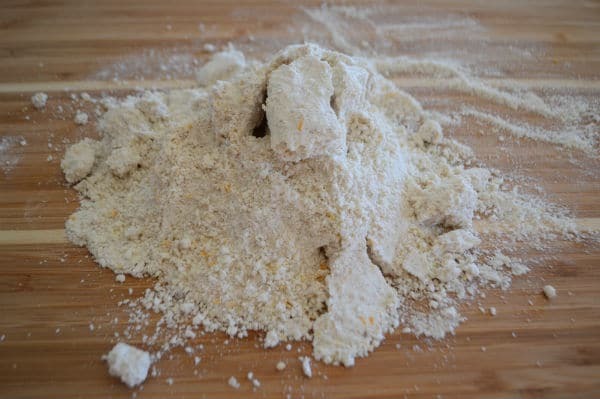 In the food processor combine flour,sugar and salt pulse 3 times to mix. 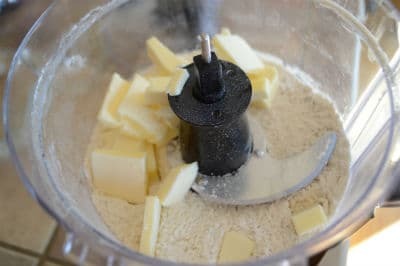 Add the cold butter. 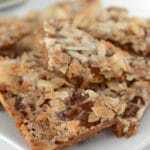 Pulse until mixture resembles fine crumbs. Add the orange zest and pulse to combine. 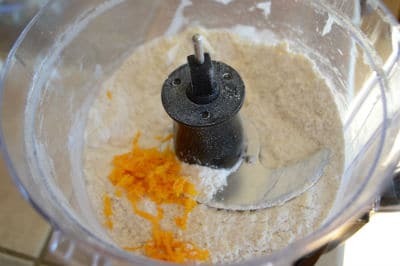 Empty the content of the food processor into a clean working spacee, make a well in the middle and crack an egg. Using your hands, shape the mixture and knead to form a log about 2.5 inches in diameter. 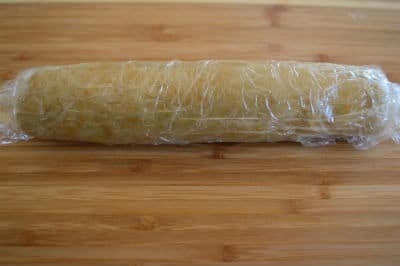 Wrap the log tightly in plastic wrap and chill in the refrigerator for at least 2 hours or preferably overnight. Slice the log into 12 equal parts, arrange in a cookies sheet and bake for approximately 15 minutes or until edges are browned. Cool completely before dipping in chocolate. **Meanwhile, chop the chocolate and melt in a double broiler or in the microwave. 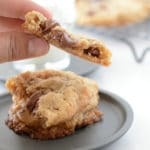 Dip the cookies in the chocolate halfway through and place in a parchment paper lined cookie sheet until set. 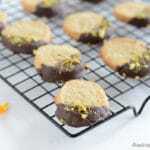 Sprinkle with chopped pistachios and more orange zest. * Make sure to use good quality chocolate. Use your favorite type of chocolate not necessarily dark. 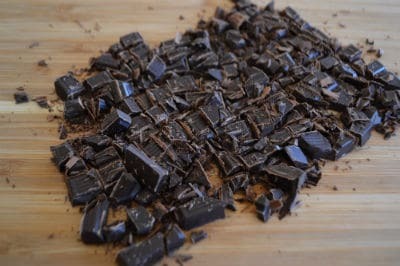 ** Melt the chocolate in the microwave by placing it in a microwave safe plate and microwaving it in a 15 seconds intervals stirring in between until the chocolate is completely melted and smooth. 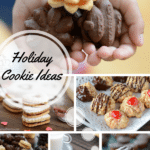 Need more cookies ideas? 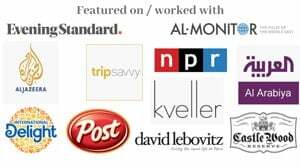 check out the cookies section here. Made these cookies yesterday as a gift and was not disappointed. 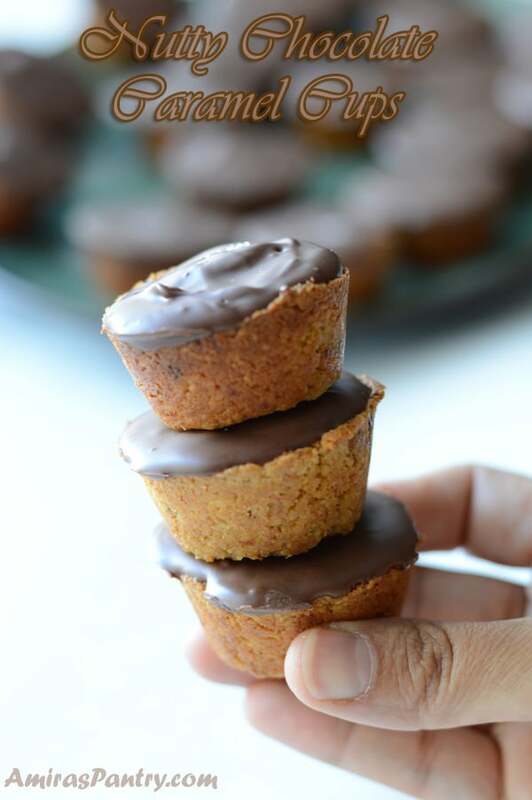 They are so easy to make and taste absolutely delicious – love the orange flavour! 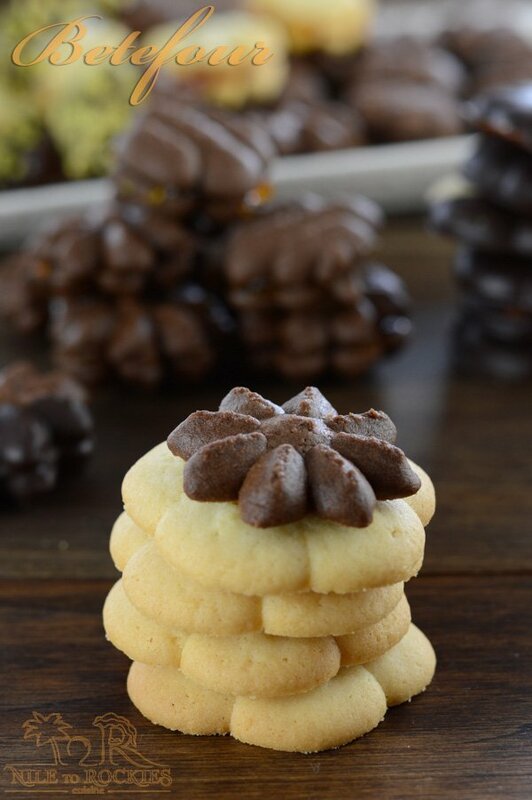 Homemade cookies are such a gift of love and these little cuties are just perfect. They look really pretty and are super tasty. I’ll definitely be making these again. Thank you Amira! My family loves the combination of orange and chocolate flavors! I’m sure they would love these! Thanks Amy, I hope you’ll give this a try.